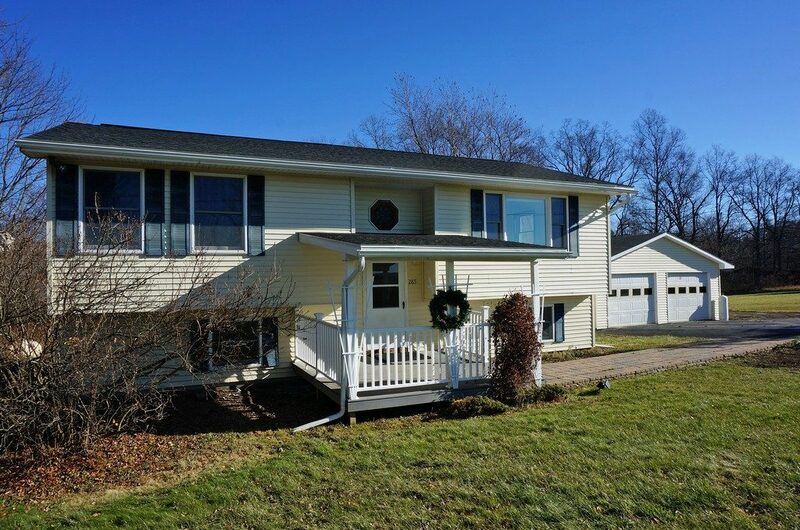 Country home just south of Ithaca on 4.5 acres with far reaching views taking in sunsets and distant hills. Flexible floor plan offering 2 – 3 bedrooms and 2 full baths. Large master suite with double closet and master bath. 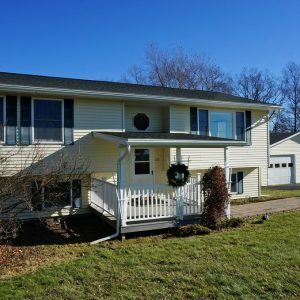 Open living/dining/kitchen floor plan with hardwood floors, updated maple cabinets, stainless steel appliances, center island with breakfast bar and lots of sun. Tiled bath, laundry and mudroom in walk out lower level. 11 x 11 covered front porch plus private deck overlooking woods. Expansive side yard for many activities. 24 x 26 heated garage and a blacktop driveway.